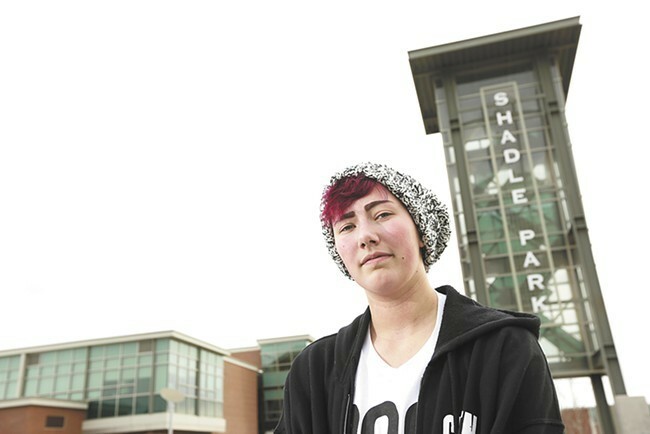 Students like Jojo Hunt, a transgender student at Shadle Park High School, can now use the bathroom of his choice. The Obama administration waded deeper into the debate about the rights of transgender people by issuing a directive to allow students to use bathrooms that are consistent with their gender identities. Presumptive Republican nominee Donald Trump met with House Speaker Paul Ryan, who has been reluctant to embrace the real estate mogul and reality TV show star. The meeting ended amiably with the two stating that they have important areas of common ground despite their differences. Anthony Senecal, who has worked as Trump's butler, has come under scrutiny for his vitriolic Facebook posts directed at Barack Obama that included calling for the president to be shot. Two-term Superintendent of Public Instruction Randy Dorn has decided he won't challenge Gov. Jay Inslee for his job despite openly considering doing so. George Zimmerman, a Florida man who shot an killed an unarmed black teenager, is still trying auction off the gun used in the racially charged incident despite a different broker declining to facilitate the sale.